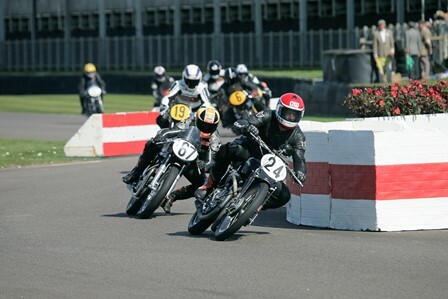 Grand Prix motorcycle racing legend Kevin Schwantz will make his Goodwood Revival debut during the September 12-14 event on an iconic Manx Norton ‘Featherbed’. Schwantz, the 1993 500cc World Champion, last raced on UK soil during the 1994 British 500cc Grand Prix at Donington Park, but will tackle the daunting Goodwood Motor Circuit this year in the Barry Sheene Memorial Trophy, which will be run for bikes of 1951-54 period. The 50-year-old American will race the only remaining example of the 1950 Norton Works 500 ‘Featherbed’, a bike on which Geoff Duke dominated the Isle of Man TT during that season, and which has not been seen in public for 64 years. The ‘Featherbed’ is owned by Peter Bloore and is being prepared by Ken McIntosh. While Schwantz has never contested the Revival before, he has been a visitor to Goodwood previously and wowed crowds at the 2013 Festival of Speed after taking to the fabled 1.16-mile Hillclimb on his title-winning Suzuki RGV500.